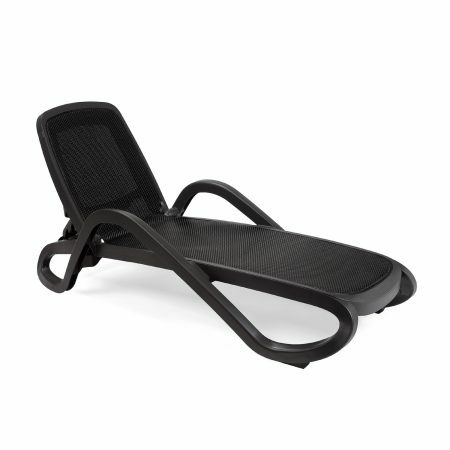 The Vulcano folding lounger is very popular throughout Europe and is widely used for commercial use which is testimony to it’s strength. 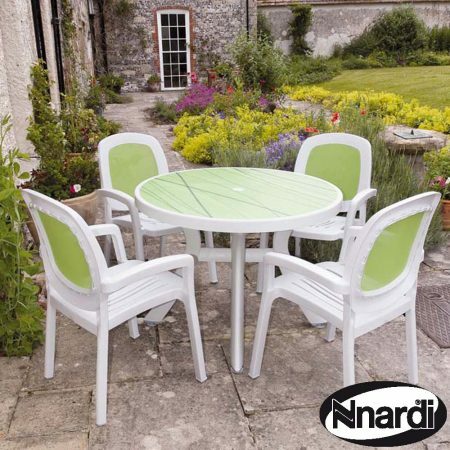 Available in either White, Turtle Dove grey or Anthracite, the Nettuno also has a handy storage compartment at the back. The lounger is easily cleaned with a damp cloth and a beige cushion is also available. 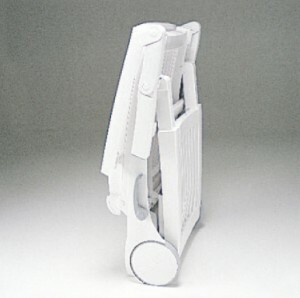 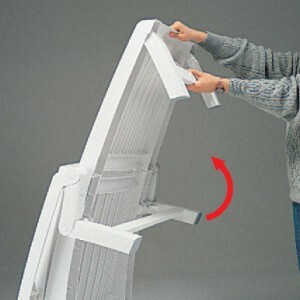 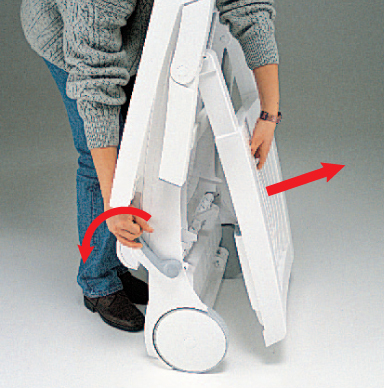 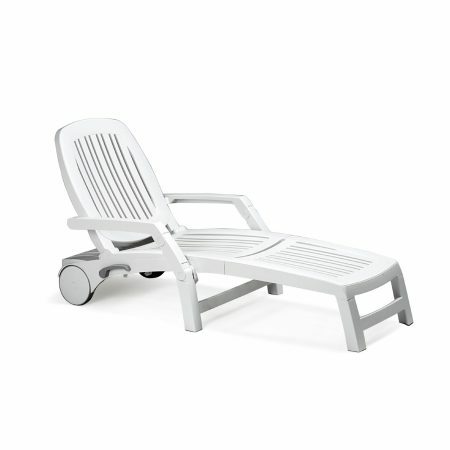 The white Vulcano sunbed is a very strong and durable sun bed and will fold up for easy storage. 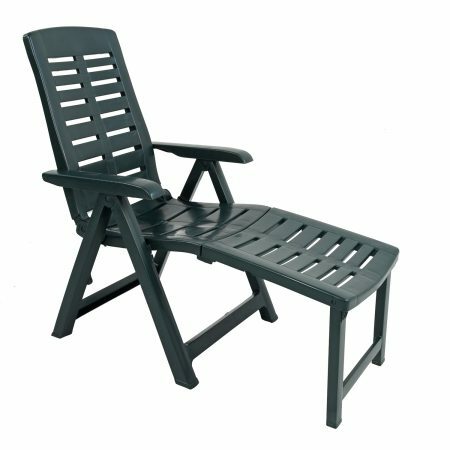 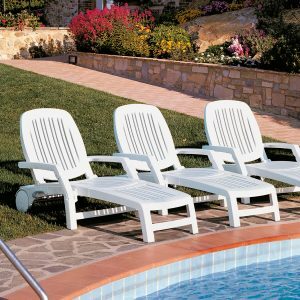 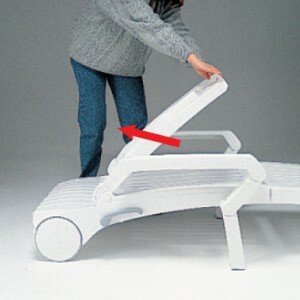 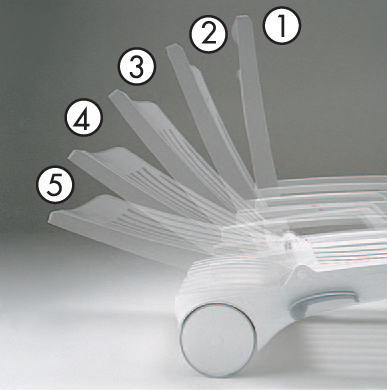 When open the back position is adjusted by means of a handle on the side and this lounger will allow you to lay almost flat. 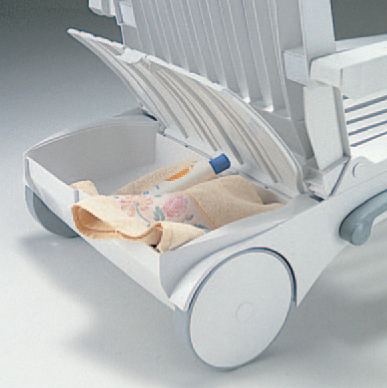 Behind the seat back is a small storage compartment with a lid to keep you sun screen etc in. 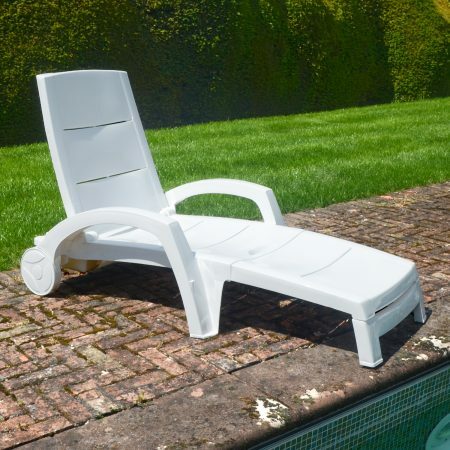 The Vulcano sun lounger is the successor to the very popular Nettuno sun lounger, the Vuvcano has a rounded back rest making it less boxy.